After an extensive international search, Dr. Manuela Well-Off-Man has been named Chief Curator at the IAIA Museum of Contemporary Native Arts (MoCNA). Dr. Well-Off-Man brings more than fifteen years of curatorial experience to her position as Chief Curator at MoCNA. Most recently an Associate Curator at Crystal Bridges Museum of American Art, she also served as Curator of Art at the Montana Museum of Art and Culture (MMAC) at the University of Montana in Missoula, Montana. Prior to MMAC she worked as an Independent Curator at the H. Earl Clack Museum in Havre, Montana, and the Westphalian State Museum in Münster, Germany. She is currently working on curating her first show in MoCNA’s Main Gallery, scheduled for January 2017. She possesses a comprehensive knowledge of Contemporary Native American art, organizing more than forty-five exhibitions. 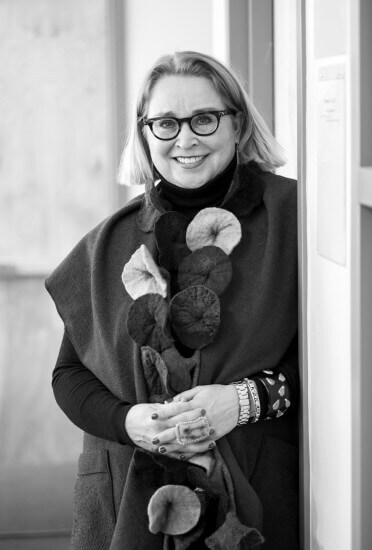 During her tenure as curator at Crystal Bridges Museum of American Art and at the Montana Museum of Art & Culture she developed and implemented Native and non-Native art exhibitions for local, regional, national, and international audiences. While at Crystal Bridges Museum of Art she was responsible for their twentieth-century American art collection. She explored new relationships between artworks; including groupings that tell the unfolding story of America from diverse perspectives. Her professionalism and experience with formulating art loans of works by internationally known artists were major assets that enhanced Crystal Bridges Museum of Art’s visibility and reputation through her exhibitions such as John James Audubon: The Artist as Naturalist (2014), Edward Hopper: Journey to Blackwell’s Island (2014), and This Land: Picturing a Changing America in the 1930s and 1940s (2013), and hosting exhibitions such as Van Gogh to Rothko (Albright-Knox Art Gallery, 2015), and The Paley Collection: A Taste for Modernism (Museum of Modern Art, 2014). During her time at the Montana Museum of Art & Culture (MMAC), Missoula, Montana, she significantly increased their holdings of contemporary American Indian art in the museum’s permanent collection–and acquired works by leading artists such as Erica Lord (Athabascian/Iñupiaq), Jane Ash Poitras (Cree), Jim Denomie (Ojibwe), and others. National traveling exhibitions she curated included: George Longfish: A Retrospective (2007), and Contemporary Native American Art – Reflections After Lewis & Clark (2005), that attracted more than 200,000 visitors. Dr. Well-Off-Man co-authored the accompanying exhibition catalogs with Native American art historians, curators, and artists such as Dr. Kate Morris, Kathleen Ash-Milby (Navajo), and Gail Tremblay (Onondaga). She also curated eight major on-site exhibitions annually, which included shows from MMAC’s permanent collection—both national traveling exhibitions organized at the Montana Museum of Art and Culture—as well as Indian Reality Today: Contemporary Indian Art of North America (1999-2000), a traveling exhibition that was viewed by more than 350,000 visitors in her native Germany. Dr. Well-Off-Man has published five exhibition catalogs on American art, scholarly articles in art journals and numerous catalog and exhibition essays. 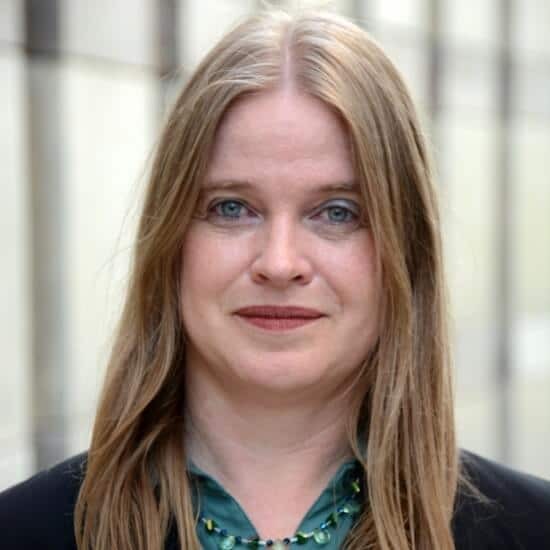 She earned a PhD in Art History from Ruhr University in Bochum, Germany; an MA in Art History from the University of Cologne; and a BA in Art History, Archaeology, and Pedagogy from the University of Heidelberg. During an internship at the Art Museum of Missoula, Montana, she conducted a meeting of Indian artists on the Rocky Boy Reservation where she met her future husband, internationally-acclaimed artist and IAIA Alumni John Well-Off-Man (Chippewa-Cree, AFA ‘91). They are the parents of two teenage daughters. To arrange an interview with Dr. Well-Off-Man, please contact IAIA Museum of Contemporary Native Arts Director Patsy Phillips (Cherokee Nation) at (505) 428-5901, or pphillips@iaia.edu.